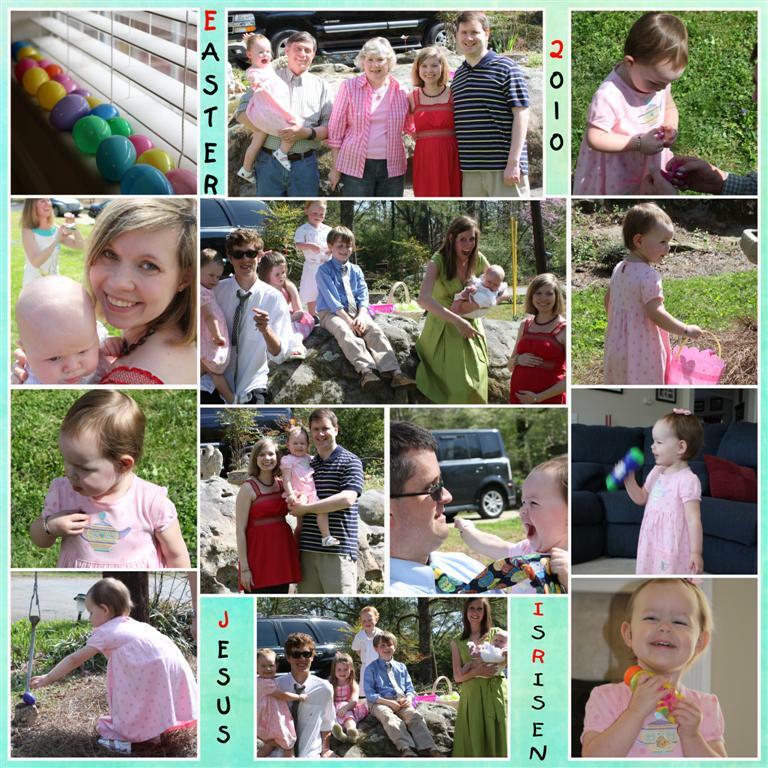 Our Easter Sunday was a little unusual with my kidney stone woes. Thankfully I felt much better on Easter and my parents were here to celebrate Easter with us. We did not make it to church that day, but we were able to join the fam at my sis-in-law's house for a delicious meal and some egg hunting. We helped Katelyn understand that Easter is a happy day because "Jesus is Alive!"